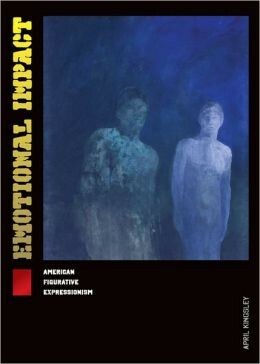 The cover of Emotional Impact: American Figurative Expressionism. A slim but important catalogue on Sun Gallery. Jan Mullerâ€™s Temptation of St. Anthony was shown in MoMAâ€™s seminal New Images of Man. Bob Thompson’s masterpiece Garden of Music in the collection of the Wadsworth Athenaeum. 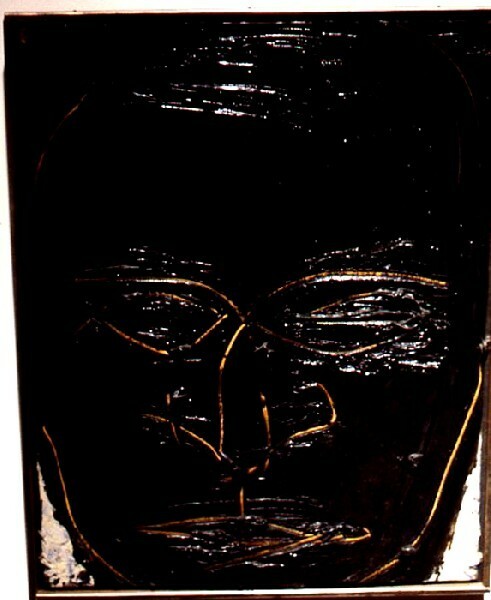 An early head by Lester Johnson. Interesting parallels to a head by David Park in San Francisco. 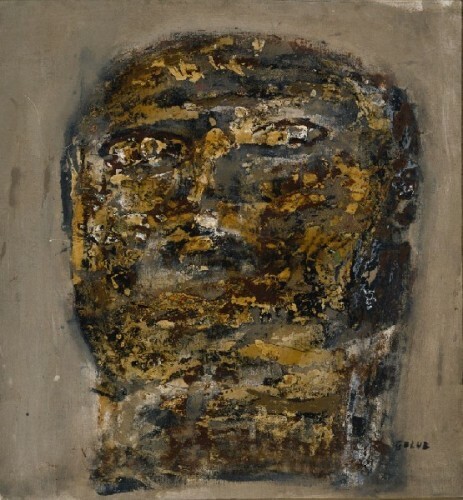 Early work by Golub falls within the definition of Figurative Expressionism. 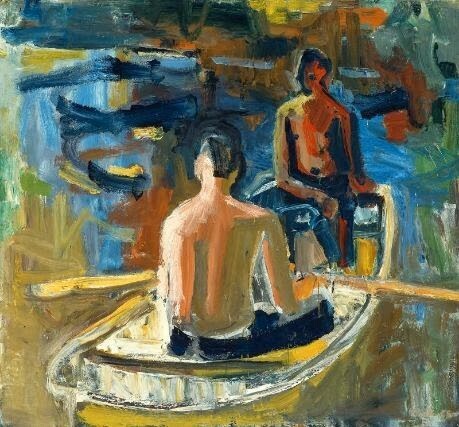 Thomas Messer then ICA director advised the MFA to purchase Park’s The Rowboat in the 1950s. A head by Robert Beauchamp. Vevers The Whale collection of Tabitha Vevera and Daniel Ranalli. Vevers’ seminal Funeral of Jan Muller was ignored by Kingsley. From 1999 to 2011, the critic and art historian, April Kingsley, served as curator of the Kresge Art Museum at Michigan State University which opened in 1959. With limited resources the decision was made to collect Figurative Expressionism. It was a more affordable extension of her focus on Abstract Expressionism. Previously Kingsley published “The Turning Point: The Abstract Expressionists and Transformation of American Art” (1992). This new book is a catalogue for the collection she assembled over a dozen years. In 2011 The Kresge closed and its assets were transferred to the Eli and Edythe Broad Art Museum which opened at MSU in 2012 in a building designed by Zaha Hadid. Because there has been scant scholarly study, or even a workable definition of the movement, it remains a generic category. When in doubt about work in the gap between Abstract Expressionism, a return to the figure, and emergence of the New Realism (Pop Art) then label the artist a Figurative Expressionist. Casting a broad net, including artists whom Kingsley knows from Provincetown and New York, this publication further obfuscates the definition of an important but poorly understood second generation Post WII American art movement. There has yet to be an intellectually rigorous, thoroughly researched, major museum exhibition or scholarly publication that nails down Figurative Expressionism. There are divergent threads for a zeitgeist which informed the studio practice of like minded artists simultaneously in Provincetown, New York, Chicago, Boston and the Bay Area of San Francisco. Kingsley recognizes this but seems to get the balance wrong. Adam Zucker an emerging scholar of Figurative Expressionism and later Rhinohorn movement organized “Pioneers from Provincetown: The Roots of Figurative Expressionism” Provincetown Art Association and Museum, Provincetown, MA (July 19 – September 2, 2013). For that exhibition the catalogue included critical essays. Many of the artists in the exhibition had shown in Provincetown’s experimental Sun Gallery of Yvonne Anderson and Dominic Falcone. It is correct for Kingsley to move on from Abstract Expressionism but her map lacks direction. Many of the artists in this publication studied with and branched off from Hans Hofmann in New York and Provincetown. Problems with artists in the Kresge collection may stem from limited funding. Kingsley’s essay states the primacy of Jan Muller and Bob Thompson in Provincetown, David Park in California, but perhaps they were too expensive, however essential, to the collection. She does not mention Leon Golub from Chicago whose early work was essential to the movement. Golub’s wife, Nancy Spero, should also be a part of the dialogue. Of the all important Provincetown group she focuses on Robert Beauchamp who is minor compared to his brother-in-law, Lester Johnson. 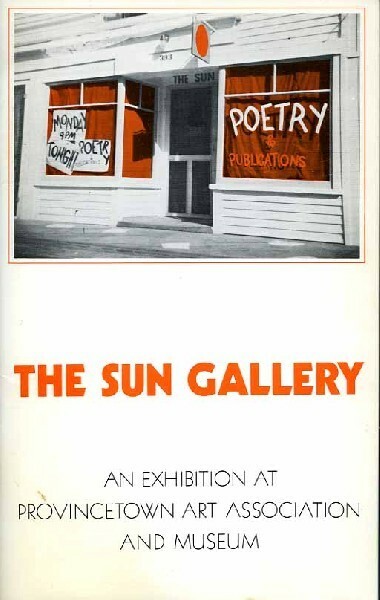 Jay Milder, Wolf Kahn and Nanno de Groot are discussed but there is no mention of Tony Vevers, George Segal, Earl Pilgrim, Alex Katz, Red Grooms, Bill Barrell and others before and after the all important Sun Gallery. These major players are omitted while improbably she includes- Sideo Fromboluti, Nora Speyer, Selina Trieff, and Robert Henry- established Provincetown artists who are not well defined by Figurative Expressionism. Kingsley acquired and writes about a number of peripheral artists that seem at best a stretch. If ever we are to make sense of Figurative Expressionism it is important to start with artists who best represent and define the movement. Begin by demarking the boundary separating Abstract Expressionism and the beginning of Figurative Expressionism. At the other end close enrollment before figuration elides into Pop. Her check list includes Willem de Kooning and Elaine de Kooning as well as Grace Hartigan. Wrong. They are abstract expressionists and including them obscures the issue. It is key to establish that a generation of artists, although informed by Abstract Expressionism, were determined not to repeat its formulas. As Kingsley notes the figure remained in de Kooning’s women and returned in late Pollock. Their figuration was an influence but doesn’t belong in an attempt to define a new and separate movement. The time frame she covers was too early for Guston’s evolution from abstraction to figuration which inspired the similar but different Neo Expressionists. With roots in Abstract Expressionism Kingley focuses on thick, distorted and loosely applied paint. That works when applied to George McNeil or Jan Muller. This doesn’t, however, embrace the lyricism of the linear high chroma paintings by Bob Thompson or the more subdued, abstracted minimalism of Tony Vevers. 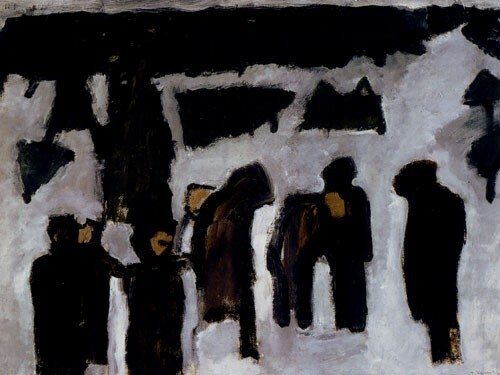 Figurative expressionism informs aspects of the early work of Alex Katz, George Segal and Wolf Kahn. The movement is not defined by a specific look or technical approach. It is more about a state of mind and commitment to experiment and change. Kingsley is correct in stating that the work of no two artists in her book looks the same. But the critical assessment that a return to the figure was reactionary is inaccurate. The degree of radical commitment is essential to defining a figurative expressionist. Too many of the artists Kingsley selects are conservative, not tough enough, decorative and illustrative. One test of theory is finding a confluence among artists separated geographically but with uncanny similarity in their approaches. 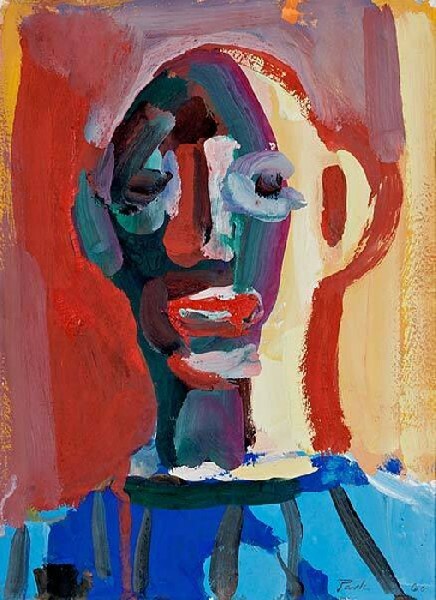 In particular I think of the big, sweeping, universal man paintings of Park in California and the large, iconic, early heads that Johnson was creating in New York and Provincetown. It has become too common to treat the Bay Area Figure artists as separate. Arguably they are better known than the Sun Gallery group but there are many points of commonality. 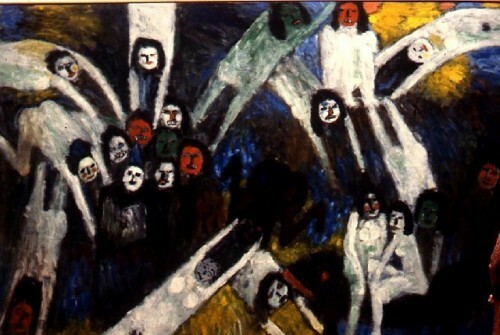 Kingsley never connects the dots or even speculates on why figurative expressionism was a national phenomenon. With this publication it appears that Michigan State University has completed its commitment to Kingsley and her collection. It will be up to a new generation of curators to determine its role and function. Future reputations of collections reflect the acuteness, the eye of the curator and ability to back up affordable acquisitions with scholarly publications. That appears to be lacking here. This generally mediocre book is unlikely to cause much interest or debate in the field. "The book should perhaps have been titled \"Selections from the Kresge Art Museum collection.\" \r\nInteresting to hypothesize that \"Figurative Expressionism\" must be in ascendance, since people who were never (as far as I know) figurative or expressionist, never mind both, now want to hop on that train. " "The nail has been hit on the head and now the point is being driven home! 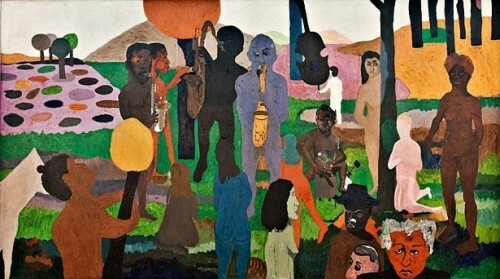 I also agree with Martin that the universal man (or I like to say human) is a universal link for this group of artists. When I first came across 'The Judgement' by Bob Thompson in the Brooklyn Museum, my life changed. I wanted to know more about the artist and why I hadn't heard his name before in my academic training as an Art Historian. The excitement and energy of this work combines so many elements of art history that seem unlikely to make sense, yet there is an amazing compositional harmony that improvises on the colors of the Fauves, the subject matter of the Renaissance, and the excitement and feel of something "new." 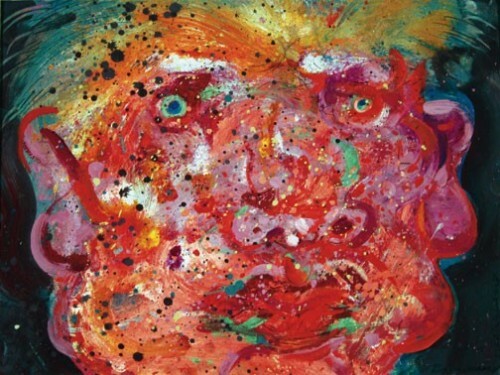 This work blew my mind, and what was to follow would further excite and draw me into a passionate study and appreciation of Figurative Expressionism. Going forward I've worked directly with artists who have given me their accounts of the times, and have been honored to curate exhibitions, write and publish essays, and host panels on the topic of Figurative Expressionism. Charles and myself have been in dialog for a little over four years now it was obvious for him to contribute an essay in the catalog for 'Pioneers from Provincetown.' We had been talking back and forth about the many facets of the movement and which artists could be considered major influences. Charles and I are committed to mapping out the Figurative Expressionist movement which was a nationwide phenomena. The return to the figure was a zeitgeist of late 50s and early 60s America. As Charles points out, there is a very strong commitment to a radical new style and ideology. It is no surprise that many of these artists went on to become politically involved. One of the seminal artists of the Fig Ex movement is Jan MÃ¼ller who while at remarked: â€œAbstraction is no longer enough for me. So I am returning to the image. 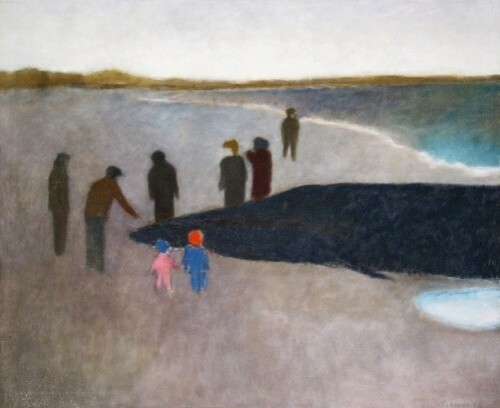 The image gives me a wider sense of communication.â€ Many artists who came to Provincetownâ€”including Lester Johnson, Bob Thompson (1937-1966), George McNeil (1908-1995), Robert Beauchamp (1923-1995), Jay Milder, Red Grooms, Emilio Cruz (1938-2004), Tony Vevers (1926-2008), Bill Barrell, Peter Dean, George Segal, Gandy Brodie (1925-1975), Wolf Kahn (b.1927), Peter Passuntino, and Robert De Niro Sr. (1922-1993)â€”reflected this statement in their work. Outside of the East Coast, there was Chicago's imagists who included Leon Golub and Nancy Spero who were creating monumental figurative compositions. Also hailing from Chicago was Irving Kriesberg (1919-2009), although his unique style developed in the late 1940s when he arrived from Mexico to NYC. Then of course, there are the Bay Area painters led by David Park and Richard Diebenkorn. 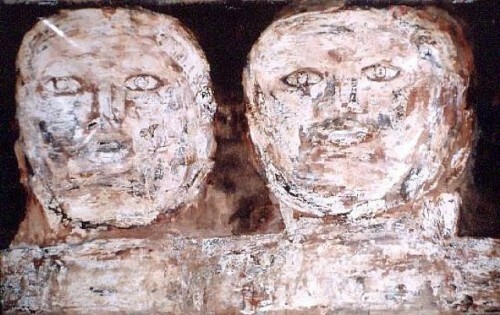 While it isn't documented that these geographical groups were in contact with each other (extensive research into artist correspondences is something that will have to be done, and may or may not have fruitful results), there is an overarching spirit and similar mindset that is something like a phenomenon. There is something about the following schools as a catalyst for these artists to emerge: The Art Institute of Chicago, The Hofmann School, in NYC and Ptown, and the San Francisco Art Institute, the California College of Arts and Crafts, and University of California, Berkeley. The figure was a powerful signifier of the human condition, realized in the wake of WWII and during the rise of a more consumer based collective. The collective conscious, empirical thinking, and the roots of origin were some of the many philosophical and psychological concepts that were explored by this group of artists. These artists are depicting not a naturalistic view of things but the nature of humankind. There is definitely not a singular style element. It is the commitment to the figure and a certain state of mind that makes this group of artists cohesive. " "As usual you know your history, because you lived it. I met a few of the people you said were left out such as Vevers, Henry when I showed at the "Rising Tide" in Provincetown. The point you about universal man seems to be the idea that links the best of this group together."